2018 marked the 40th anniversary of legendary studio SNK, and with that comes an epic collection of the studio’s finest releases. 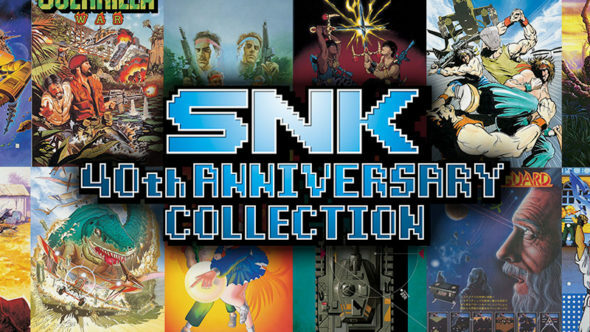 SNK 40th Anniversary Collection is an Arcade anthology with a total of 24 titles. The game is available on PlayStation 4 and Nintendo Switch. Be sure to check out our two-part review on SNK we made a while ago, here, and here. Most games from SNK’s era didn’t really focus on story, or offer one-noted bits of story and instructions. The story however, lies in its bonus features. It tells a story of one of gaming’s first baby steps. Shin Nihon Kikaku launched “New Japan Project” in 1978, which would eventually become the SNK we know and love. It would all begin with Micon Block. The Micon Block could be considered an early prototype of the Neo Geo System, which would come out twelve years later. 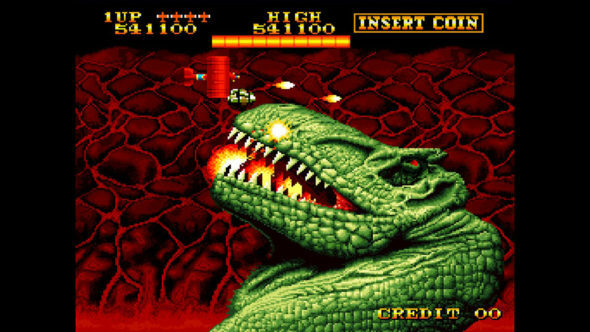 In the years that followed, SNK would release many successful arcade games, spread out in many different subgenres. Aside from a very interesting history lesson on SNK, the game’s bonus features include early advertising pamphlets, behind-the-scenes concept art and footage, two authentic video game land newsletters and a collection of Arcade guide books. All adding to the bigger story, the story of a bygone era. All the games in the collection offer typical pixilated visuals. The difference lies in themes and designs. Where ZMA Wars and Vanguard have very basic visuals, games like Psycho Soldier and Street Smart offer much more detail. Prehistoric Isle offers very thematic visuals, with the sense of a lush jungle island filled with dinosaurs and other monsters. Some games go for a realistic theme like, for example, the army, while some games go for science-fiction. Games like Athena and Crystalis offer a large fantasy world and SAR: Search and Rescue is the only game to offer a sense of horror, with the accompanied blood and gore. Some games can get very flashy and chaotic, so be advised if you’re sensitive to light flashes. The graphics have been up-scaled at 4K resolution, adding beautiful background covers, when playing a game. The music in this game is obviously of glorious 8-bit and because of the sheer amount and variety of tracks features in this collection, we won’t go over each game seperately. Run & Gun games tend to have more up-tempo tracks, meant to pump you up. The Fantasy games in the collection are more melodic and try to be more atmospheric in nature. Street Smart, the fighting game’s music is less serious and more upbeat. Not only are all tracks recognizably 8-bit tracks, but you can also hear that distinctive 80s sound in them, adding to the magic of that era. Some games offer basic voice acting, which often feels very refreshing. As a bonus feature, you can listen to some soundtracks separately in the Museum menu. The most represented subgenre in this Arcade collection is the Run and Gun genre. Many titles in this list play out very similarly, with subtle gameplay differences. You will progress the levels by shooting enemies, whilst collecting different types of weapons and accumulating bonus points. Some examples are; Guerilla, Ikari Warrior trilogy, Time Soldiers and SAR: Search and Rescue. Some are more enjoyable than others due their originality, gameplay smoothness, or just being a newer installment. The most impressive title in this short list is SAR: Search and Rescue, being the only horror-themed game in the list, with satisfying gameplay, cool looking monsters and its fair share of blood and gore. For the next series of games, we will build on the classic Run and Gun subgenre, but change it around a bit. In Iron Tank and TNK 3 you drive an armored tank, but ultimately offer similar gameplay mechanics, maintaining the classic formula of collecting ammunition, bonus points and progressing the game by destroying an increasing force of enemies in your path. Another very popular subgenre is the airborne shooting game. These are classic vertical shooters with a fixed cam, highly resembling the famous Space Invaders, like ZMA War and the unique looking Sasuke vs Commander. A natural evolution of this type of game is the same vertical gameplay, but you can fly around freely, and by having the background swoop by under your aircraft, giving the feeling of flying forward. Examples of this type are Alpha Mission, Bermuda Triangle, Chopper and World Wars. A bit different in this subgenre are the horizontal shooting games, such as the thematic Prehistoric Isle and Vanguard, which adds another mechanic of being able to shoot in any direction. Now that we’ve gone over all the games that follow that somewhat same formula, let’s explore some of SNK’s uniquely different type of games. Munch Mobile is an early racing game, where you have to stay on the road at all times, whilst timely collecting items at either sides. P.O.W. 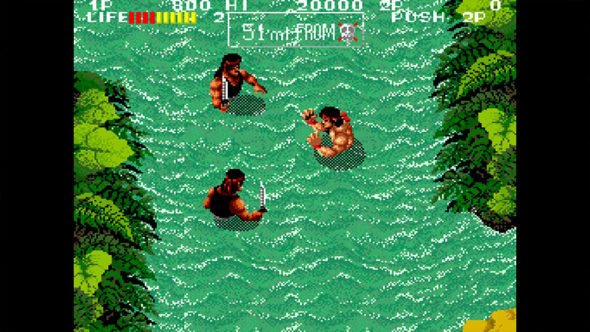 is a game that resembles the Golden Axe formula of fighting enemies, picking up their weapons and progressing the game left to right. Paddle Mania is a fun tennis game, where your goal is to hit the ball in your opponent’s goal, much like air hockey. 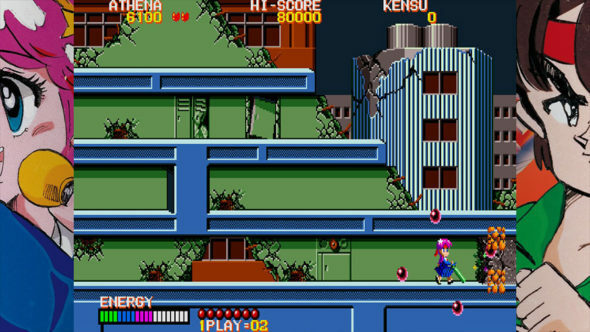 Beast Busters is a Gun game, like the ones you would find in an arcade where you could grab a plastic gun and shoot the screen, but unfortunately, this is not possible on your console. 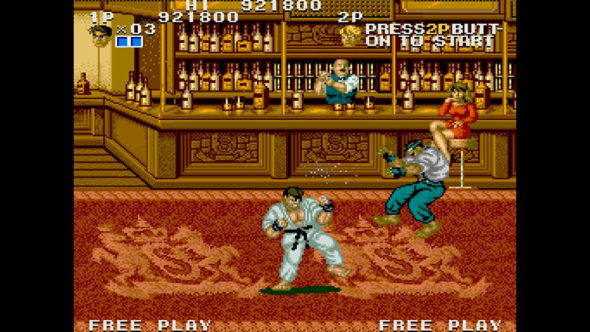 Street Smart is a Fighting game, where you will have to fight increasingly more difficult enemies on the streets, much like the very first Street Fighter, released two years prior. Fantasy is a very unique game in which you must save your companion by landing a hot air balloon on a firing ship, and navigating enemies on the ground in order to set her free. Athena and Psycho Soldier are the only Platformers in the collection and have early RPG-elements. The only real RPG, however, would be Crystalis, following the adventures of a young magician in a post-nuclear era. 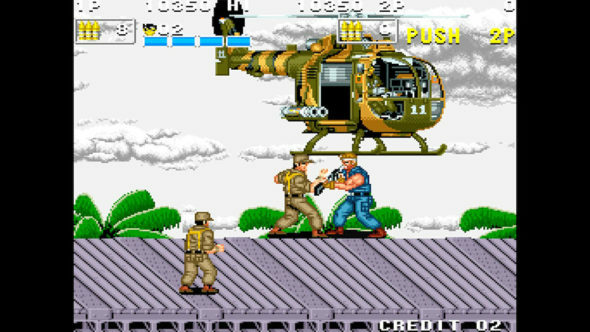 SNK 40th Anniversary Collection adds a modern feature to each game. You can now save at any time in the game, which is good for people who did not grow up with the “you die, game over” mentality of that era. You can even rewind if you’d like, if a situation needs re-assessment. Almost all of the titles offer a two player mode where you and a friend can challenge each other, or you can the Run and Gun games co-operatively. These games are undoubtedly the most enjoyable when played with friends. The collection offers a variety of games, and while not all of them are that enjoyable, there are a few titles that have real replay value. Some of these games feel like bad rip-offs of other popular games of the era. Classic games like Mario, will never age, and will always be highly playable, but unfortunately, some of the titles on the SNK 40th Anniversary Collection have not aged well, and have clunky controls, boring gameplay and performance issues. 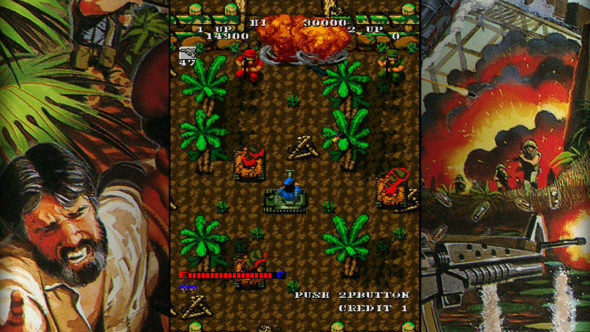 SNK 40th Anniversary Collection is an homage to a bygone era, where people would gather in the arcade to play videogames on big machines, challenging each other, mastering the games and fighting for the high score. The collection offers some great games, but unfortunately, some games did not age well, making their enjoyability questionable. With a collection of Arcade games, there are bound to be hits and misses. Because many games follow the same formula and play out very similar, you will pick one or two favorites within that subgenre to play intensively, and leave the rest for what they are. Although all being pixilated games, the visuals also differ from game to game, but some offer unique themes and backgrounds. The music in most games are recognizable 8-bit tracks, with a great variety of awesome tunes. The collection does offer a lot of content and can be a nice addition for lovers of the retro age.